Joe Lynn Turner - "JLT"
Wow, I had no idea this guy was so prolific, this being his eighth solo record since his days with Rainbow and Deep Purple in the 80's. This is the first record in which he wrote a few of the tracks without collaborators, as well as played guitar! The opening track, "In Cold Blood", is very much like an old heavy Rainbow number and a real rocker. The record is a mix of some more blues stuff like "Jump Start". The record features Al Pitrelli (Savatage/Megadeth) and Mark Wexler as the primary guitar players, while Joe Bonamassa steps in on a track for some ripping guitar! Joe's voice has become much more rough over the years but it has developed in a good way. This is really quite an excellent CD and it really caught me by surprise. "Hit the Switch" is another very heavy rocker like the opening number. "Love Don't Live Here" is a personal ballad. Glenn Hughes's funky side must have influenced a few tracks here as well. Very solid stuff. 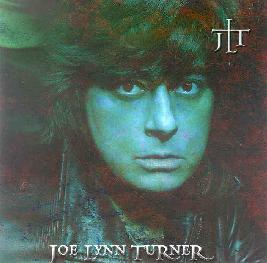 For more information you can visit the Joe Lynn Turner web site at: http://www.joelynnturner.com.